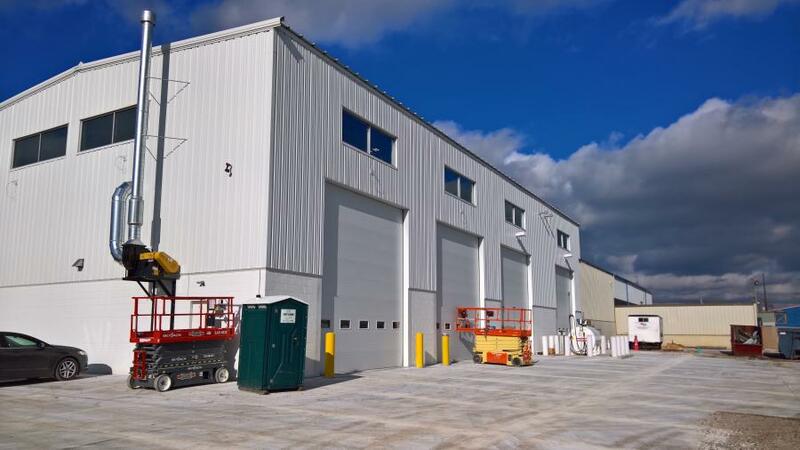 Brooks Tractor recently expanded its Milwaukee facility with a 7,260-sq.-ft. shop addition and an expanded parts warehouse. Brooks Tractor, a 74-year-old equipment dealership with six locations across Wisconsin, advanced its mission to provide state-of-the-art service recently with the expansion of its Milwaukee facility. 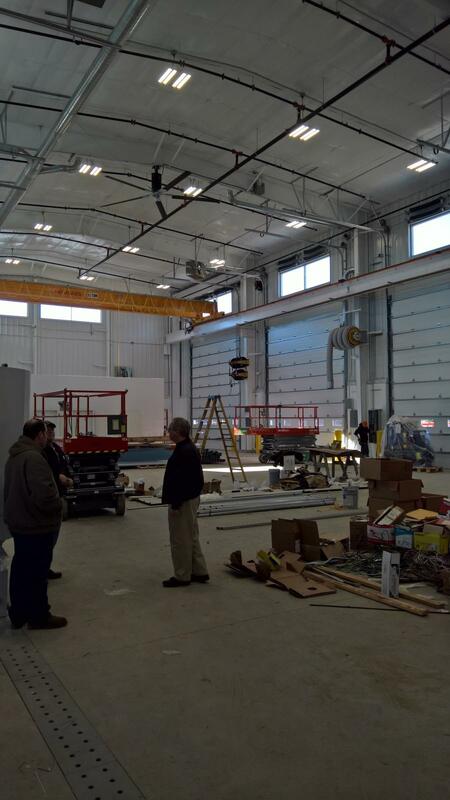 Improvements include a 7,260-sq.-ft. shop addition; an expanded parts warehouse; and a new wash bay; overhead lube system; parts dock; and 12-ton overhead crane. Customers and staff will also enjoy a large training room as well as fully renovated offices, meeting rooms, sales and parts entrances and parts counter areas, as well as an enlarged front display pad, a widened driveway, an expanded parking lot and improved LED lighting. "We will be able to service more and larger machines with our expansion," company President Lewis R. Brooks said. "LED lighting will brighten the shop, and large windows will bring in abundant natural light. The 12-ton crane accommodates John Deere's new larger equipment. The all-new office areas, service tech room and the new break and lunch room will make the experience more enjoyable for our technicians and customers." The renovation of the Milwaukee facility is only one part of Brooks Tractor's recent expansion drive, following the opening of its Mount Pleasant location in 2017. Other locations are De Pere, Plover, West Salem and the company headquarters in Sun Prairie, with a seventh facility coming in 2020, which also will mark Brooks Tractor's 75th anniversary. The dealership serves 44 counties in Wisconsin for John Deere and Hitachi products, and the entire state for Topcon and Leica machine control products. Brooks Tractor was founded in 1945 by Lewis P. Brooks, Lewis R.'s father, who had just returned home to Sun Prairie after serving as a U.S. Army combat medic during World War II. With a partner and some borrowed capital, he opened a Ford-Ferguson dealership in a century-old wood frame building near downtown Sun Prairie. The company originally specialized in farm implements, which Brooks had sold before the war, but over time, it steadily grew and diversified into the front-rank construction equipment and construction positioning products dealer that serves Wisconsin today — all while remaining a family-owned business. 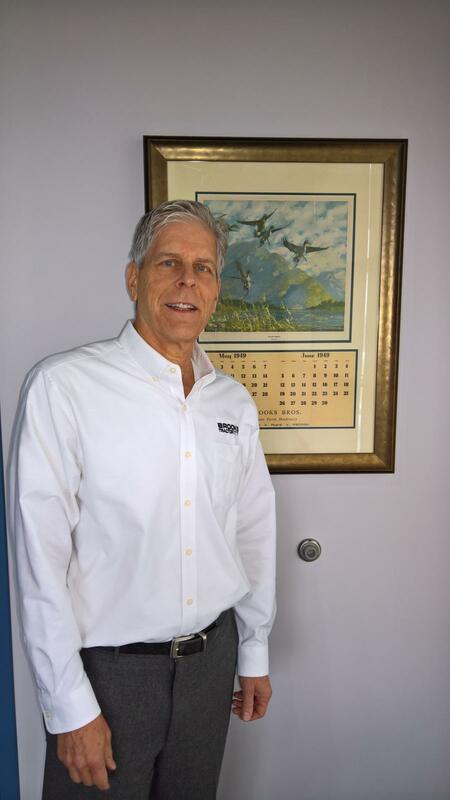 "Brooks has been family-owned for 74 years and is on its third generation in the business," the younger Brooks said, "which means there has been great continuity of values throughout the years." Brooks Tractor deals in John Deere, Hitachi, Atlas Copco and Dynapac equipment, as well as representing Allied Construction Products LLC, Felling Trailers, Etnyre Trailers and, for attachments, Paladin, B&D Fabricator Tag Manufacturing Inc., Gem and Strickland. For information, call 608/837-5141 or visit brookstractor.com.